Menace Beach have shared their new track 'Satellite', taken from their awesome new album 'Black Rainbow Sound' (out 07 September). Menace Beach have also announced a run of live shows around the UK in the Autumn, that includes a tour around Yorkshires most iconic record stores. You tell me - new musical project from Field Music! We're really excited to announce You Tell Me, the brand new musical project from Field Music’s Peter Brewis and Admiral Fallow member Sarah Hayes. Their debut single ‘Clarion Call’ is out now digitally via Memphis Industries. Stream it here. ‘Clarion Call’ will be available on limited 7” on 14 September, backed with ‘Incantation No. 1’ on the b-side. Each 7" sleeve is unique, comprising a section of a larger artwork designed and created by Peter. You can buy the 7" here. You Tell Me’s debut album is set for release in early 2019, they will be heading out on their first UK tour in October, full details below. Odetta Hartman's new album 'Old Rockhounds Never Die' - out today! "This is fantastic..reminds me of Caron Dalton"
NYC singer-songwriter Odetta Hartman has shared her new single ‘You You’ from her new album ‘Old Rockhounds Never Die’ – which will be out 10 August. Head here to pre-order 'Old Rockhounds Never Die' on limited edition red LP, black LP, CD and download. Odetta just announced a string of European shows in support of Michael Nau & The Mighty Thread *, plus her own headline shows in London, Dublin and Brussels. Tickets on sale now. 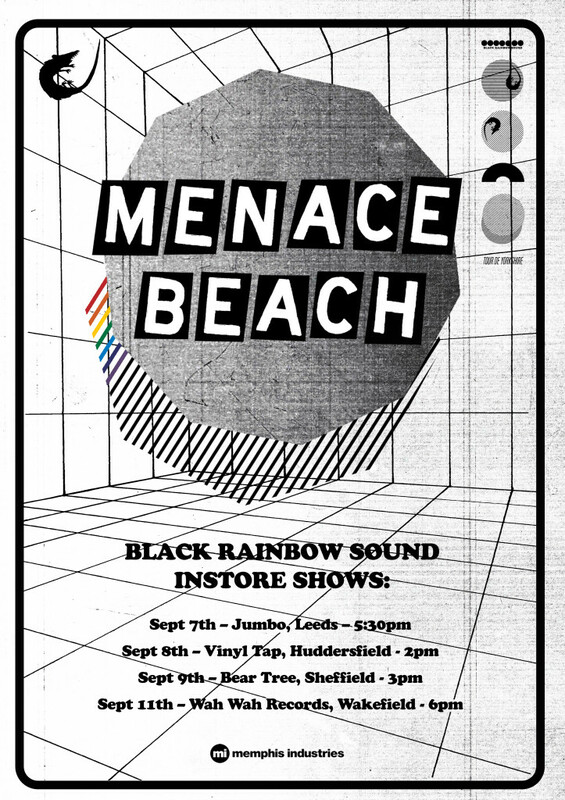 Menace Beach have announced they will be going on an instore tour around Yorkshire to celebrate the release of their new album 'Black Rainbow Sound'. The band will be playing at some of the most iconic record stores in the region, full details below.